'Sounds for Spies & Private Eyes' is a musical movie and TV theme spectacular focusing on the spy, secret agent and cop shows that dominated both big and small screens in the 1960s and 70s. 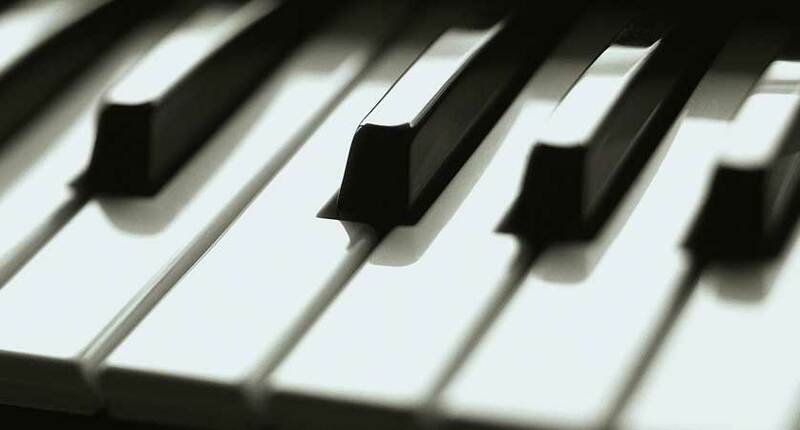 Celebrating the jazz and funk genius of film score writers such as Lalo Schifrin, John Barry, Henry Mancini, Jerry Goldsmith, Roy Budd and many others, one can expect to hear perennial classics such as Pink Panther, Mission: Impossible and the James Bond Theme alongside a choice selection of cult classics from, what is truly, a golden era'. Tickets: £30, £27, £24, £19, £14, £10 (discounts available). Featuring Goldfinger, Diamonds Are Forever and Skyfall. The ultimate Bond concert with excerpts from all 24 films from Dr No to Spectre. With classic songs made famous by great artists such as Shirley Bassey, Tom Jones, Matt Monro, Paul McCartney, Duran Duran, Tina Turner, Adele, Sam Smith and more, this evening is dedicated to the world’s most famous spy. Led by Gareth Hudson and joined by two of the leading vocal artists of the Bond repertoire, Mary Carewe and Simon Bowman, from the moment the Orchestra of Opera North strike up the iconic James Bond Theme you will realise that Nobody does it better as you’re immersed in an evening of classic Bond music which will leave you shaken AND stirred. Channel your inner spy or become a Bond-girl for the evening as we encourage bookers to dress to impress. An explosive evening of the very best themes from the James Bond series. Stephen Bell will be the man with the golden baton, leading the Ulster Orchestra through classics from across the decades, from early films such as Goldfinger, right through to the present day and hits such as the Oscar-winning theme to Skyfall. Favourites such as Live and Let Die, Diamonds are Forever and Licence to Kill will leave you shaken and stirred at this fabulous concert! The music that capture a world of pulse-pumping action, glamorous femmes fatales, villainous arch enemies and, of course, unforgettable tunes. With roaring brass, lush orchestrations and sensuous songs, these movies have produced hit after hit all over the world. The list of credits includes the thrumming James Bond theme itself, 'Diamonds are Forever', 'Moonraker', 'Thunderball', 'From Russia with Love', 'Goldfinger', 'For Your Eyes Only', 'Skyfall' and many more. 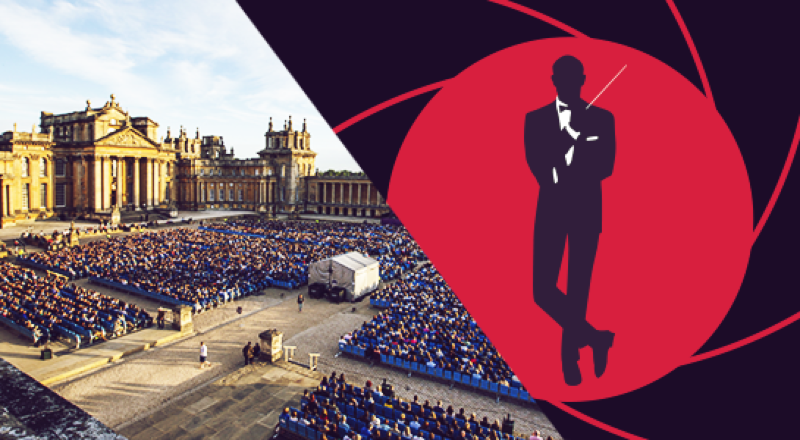 Smooth as a vodka martini, elegant as a tuxedo and cool as a cucumber sandwich, Stephen Bell, the Hallé's suave, sophisticated maestro leads the world-renowned Hallé Orchestra as they celebrate the ultimate British hero – James Bond. Immerse yourself in the spine-tingling sounds that gave musical voice to the films in catchy title sequences and haunting songs performed here by star vocalists Alison Jiear and Matthew Ford. An evening packed with some of cinema's most iconic themes, come dressed as your favourite Bond character, knock back a Vodka Martini and be prepared to be shaken and stirred! Tickets for The Music of James Bond with The Hallé' (subject to booking fees) at Sheffield City Hall are available online at www.sheffieldcityhall.co.uk through the ticket hotline on 0114 2 789 789 and in person at the Sheffield City Hall Box Office. The Royal Philharmonic Orchestra returns to London’s Royal Albert Hall to perform The Music of Bond, following its sensational sell-out performance in October 2015. Presented by A View to a Kill’s ‘Bond girl’ Fiona Fullerton, we celebrate over fifty years of timeless James Bond theme songs with hits from Goldfinger, Casino Royale, From Russia With Love, Diamonds Are Forever, Skyfall, Spectre and many more, all sung by outstanding vocalists Alison Jiear and Simon Bowman. Sourced from the original stereo master tapes. A lost paradise, a lost innocence, and a lost culture; these are the dominant themes presented in Nicolas Roeg’s 1971 masterpiece Walkabout, a survival story of two children lost in the scorched Australian wilderness. Together with other seminal Australian surrealistic outback films, (e.g. Wake In Fright) Walkabout was a film that reshaped the Australian film industry and defined the country’s New Wave. On the cusp of the film’s 45th anniversary it is pertinent to observe that for decades the film’s original soundtrack has also been considered lost. Composed and conducted by the acclaimed British film composer John Barry, the score is a hallucinogenic mix of exotic romanticism, children’s nursery rhyme and potent psychedelic experimentation. For decades, the consensus among soundtrack circles was that the master tapes were officially missing with little chance that the music would ever see a legitimate release, but The Roundtable is pleased to announce that this is no longer the case. The complete soundtrack to one of cinema history’s most visually spellbinding films has now finally been re-discovered, sourced from the original stereo master tapes and prepared to the guidelines of the original ill-fated 1970s LP release. The Walkabout soundtrack is released in conjunction with the lost film music to Peter Weir’s 1977 existential eco-horror The Last Wave, composed by Charles Wain. The premiere soundtrack release to Nicolas Roeg’s 1971 New Wave Masterpiece. Lost hallucinogenic score from acclaimed film composer John Barry. Deluxe packaging including archival film stills and original press material. The Lion in Winter will be playing at Film Forum, 209 West Houston St. west of 6th Ave.
"For decades, the consensus among soundtrack circles was that the master tapes were officially missing with little chance that the music would ever see a legitimate release, but The Roundtable is pleased to announce that this is no longer the case." We should receive some press material late next week, so possibly towards November 25th. The Lion in Winter at Nuart Theatre, L.A.
For those in the Los Angeles area, The Lion in Winter will be playing at the Nuart Theatre for 9 days starting Friday, December 19th! 4K digital restoration. 11272 Santa Monica Boulevard, just west of the 405 Freeway, West Los Angeles, CA, 90025. Quartet Records and Universal Music Group present the long-awaited remastered reissue of John Barry’s absolute classic. The Last Valley is a historical drama set during the Thirty Years’ War (1618–1648). It was directed by James Clavell in 1971. A mercenary soldier (Michael Caine) and a teacher (Omar Sharif), each fleeing the religious war in southern Germany, accidentally find the valley, untouched by the war, and live there in peace. Following his historical success with The Lion in Winter in 1968, John Barry was a natural choice for this film. 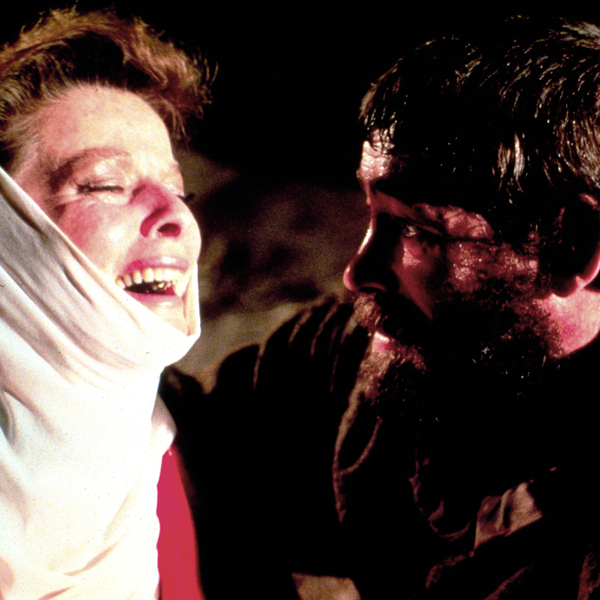 Followed the same year by Mary, Queen of Scots, and by Robin and Marian in 1976, the four films form an essential historical tetralogy in Barry’s career. In The Last Valley, the composer provides a score of thunderous orchestral power, aggressive action cues and haunting choral writing. The score remains one of the most valued and appreciated by his fans. For this new edition of the original LP tracks (the complete recording session recorded by John Richards at CTS sadly remains lost or destroyed.) Chris Malone has gone back to the original 2-track stereo tapes, courtesy of UMG, and remastered the album with a much improved and open sound, ensuring a more natural treble and a better low-end extension. The result is a new sound experience—the original score has never sounded so good. The CD is accompanied by a 16-page full-colour booklet with detailed liner notes by John Takis. The line-up for this summer’s Nocturne concert series in the Great Court at Blenheim Palace is now complete. Presented by former Bond girl Fiona Fullerton (A View To A Kill), The Royal Philharmonic Concert Orchestra, plus guest vocalists, will perform an explosive program of classic Bond music to leave you shaken, not stirred. The Great Court, where scenes from Spectre were recently filmed, will provide the backdrop for over 50 years of iconic Bond music including Goldfinger, From Russia With Love, Live & Let Die, License to Kill, Casino Royaleand the acclaimed score from Skyfall. The Chase will be released on Blu-Ray on October 11 by Twilight Time Movies. Raise funds for a new recording of John Barry's TV Scores? So if you are *likely* to contribute, please visit this Facebook page. Dances With Wolves has been released on vinyl. More info on the Music on Vinyl website. We are delighted to announce that Beat Girl, which contains John Barry's first ever film-score, will receive its premiere DVD/blu-ray release on 25th April. The extras will prove of interest to Barry fans because it includes a few minutes of additional/alternative footage, which might feature music never heard before. Any residents of London should note that in conjunction with its release on DVD/blu-ray this month: A special screening of Beat Girl takes place at the Regent Street Cinema, London, W1 on Wednesday 20 April at 6.30pm followed by a Q&A with Gillian Hills, hosted by BFI National Archive Fiction Curator, Vic Pratt. Tickets are available now. Australia: 'Peggy Sue Got Married' is being broadcast Wednesday 2nd March on SBS 2 at 10:10pm. Goldfinger, Thunderball, Diamonds are Forever, You Only live Twice, The Man With the Golden Gun, Golden Eye, Casino Royal, Live and Let Die, Skyfall and many, many more. This symphonic evening features the greatest songs from “spy movies” such as Mission Impossible, Get Smart, the Austin Powers films, and of course, the James Bond legacy. Enjoy live performances of “Goldfinger,” “Nobody Does it Better,” “Moonraker,” “For Your Eyes Only,” and many more performed by Sheena Easton and additional vocalists. The RTÉ Concert Orchestra has a proud tradition of performing the music from the movies and tonight we celebrate the life and work of Britain’s greatest film composer, John Barry. 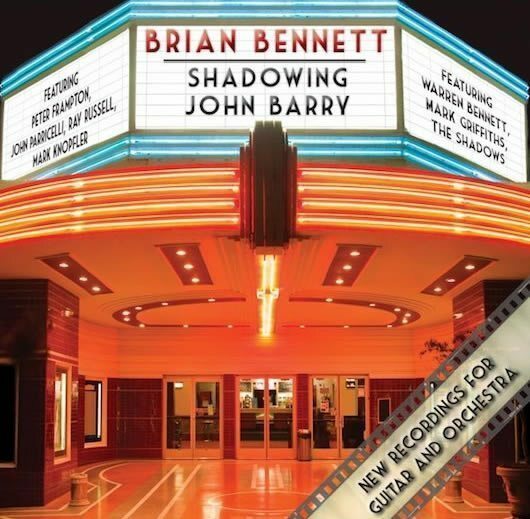 Stephen Bell has selected some of Barry’s most admired and popular themes to showcase his extraordinary versatility; each an atmospheric masterpiece, capturing the essence of the films themselves. Five famous words that capture a world of pulse-pumping action, glamorous femmes fatales, villainous arch enemies and, of course, unforgettable music. With roaring brass, lush orchestrations and sensuous songs, these movies have produced hit after hit all over the world. The list of credits includes the thrumming James Bond theme itself, Diamonds are Forever, Moonraker, Thunderball, From Russia with Love, Goldfinger, For Your Eyes Only, Skyfall and many more. The Hallé’s suave, sophisticated maestro, Stephen Bell, leads the world-renowned Hallé Orchestra and star vocalists Matt Ford and Alison Jiear in an evening packed with some of cinema’s most iconic themes.